September 1908. Gary, West Virginia. 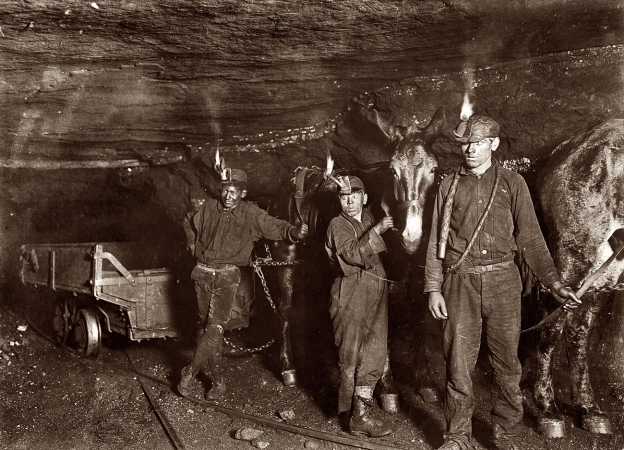 "Drivers and Mules in a coal mine."